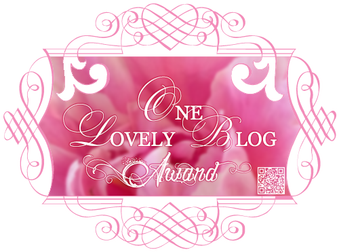 Thank you so much to Toni Pike,a fellow blogger on WordPress, who nominated me for the One Lovely Blog Award. Her blog is a real inspiration, and also very elegant. My star sign is Libra. I love reading and writing paranormal and mysteries novels. I want to travel to England and Venice. I love sewing, crocheting and cross stitch. Pizza and Chinese food are my favorite. Please know that I understand if you do not wish to accept this nomination. Many other wonderful bloggers I know have already been nominated by someone else. Thank you all for your amazing blog posts. Viv Drewa is general genre author who originally wanted to write paranormal thrillers, but her muse had other ideas. She has written three novels and one short story. to record and is hoping to catch an even larger fish this time. for another week. What will they do? Martin and Clare Montgomery worked together as an archaeological team until Martin mysteriously died. Fearing the rumors of a curse Clare vowed to never return that was until a blue eyed spirit and a small owl began to haunt her dreams. When the dismembered body of a young woman is found Detectives Joe Leverette and Philip Marsden are assigned the case. After investigating the Port Huron, Michigan area where the six body parts were found there’s a twist in the case: The murderer goes after each individual who found the parts, one by one. Leverette becomes interested in one of the women, Carole Sage, a sensitive, but because of the case he’s not able to take it any further. Everyone on the police force sees his infatuation, but Carole does not. Each of the six witnesses has a dream about the murderer removing the particular body part they found the night. They are startled awake and hear an owl hoot three times. None of them want to reveal their dream to the detectives. Carole sees the actual murder and each murder as it happens to the witnesses. The police chief, Billingsley, understands her ‘gift’ and sets up a sting to catch him. It fails and they have to regroup to think of something else. Two witnesses are dead and they don’t want a third to die. Congratulations to yo, Viv – you deserved it. Thank you, Viv. This is very cool. Thank you! Viv, you always make me smile.